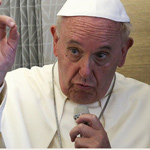 Pope Francis has hailed Muslims as the "sons of Abraham," following his controversial visit Morocco. Update: An earlier version of this story suggested that Pope Francis had compared Christians to fungus. This is not accurate. The passage quoted by Pope Francis referred to when Jesus discusses the nature of the Kingdom of God by saying “It is like yeast that a woman took and mixed in with three measures of flour until all of it was leavened” (Luke 13:18.21). We have updated our headline to remove this reference. The head of the Catholic Church made the provocative remarks while visiting the North African nation with a 99 percent Muslim majority. 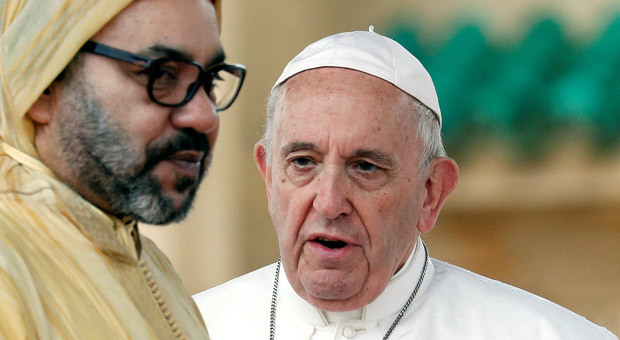 On Sunday, the Pope said God sees the flock of Moroccan Christians promoting his idea of "inter-faith brotherhood," before defending his recent tour of Muslim states. 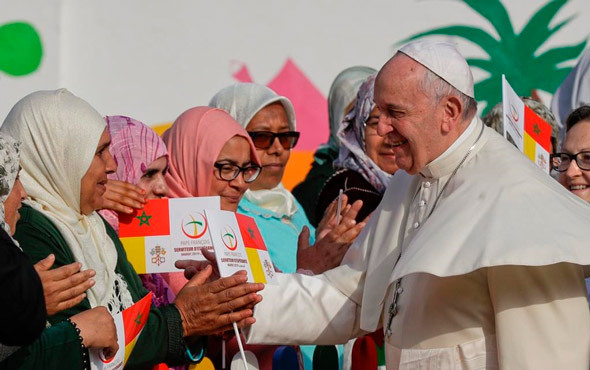 Pope Francis also warned Catholics in Morocco not to attempt to convert Muslims to Christianity, as he addressed a large crowd of his followers. 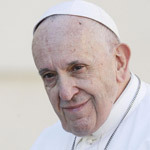 Speaking to a crowd of roughly 400 Christian followers, Francis issued the warning during an address at St. Peter's Cathedral in Rabat, Morocco. 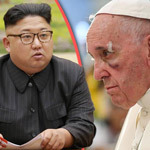 During the March 31 speech, in which the pope also discussed the rights of migrants and promoted open borders, the pope urged Christians to unite with Muslims, before he warned: "Please, no proselytism!" “With Muslims, we are descendants of the same father, Abraham,” he explained. “What God wants is fraternity between us in a special way,” he added, noting that this was the motive behind his travels to Arab states. 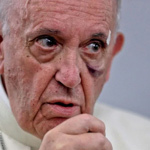 Pope Francis, who previously shocked Catholics around the world by holding an Islamic prayer and Quran recital in the Vatican, has history when it comes to disregarding Biblical teaching in favor of pushing a contemporary liberal ideology. 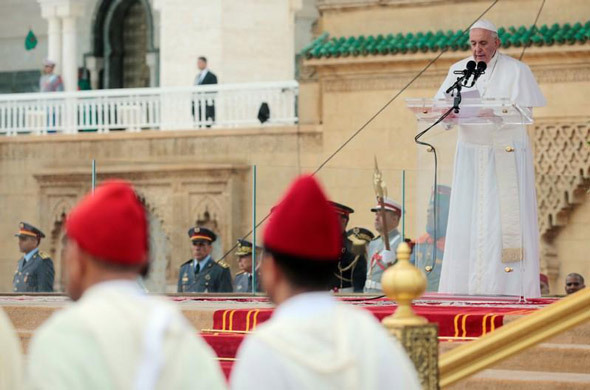 In a joint declaration on Sunday, Pope Francis and Morocco's King Mohammed VI signed the "Jerusalem Pact." The two leaders described the pact as a "symbol of peaceful coexistence" for Christians, Jews, and Muslims, according to DW.